The FTD® Always True™ Bouquet is blooming with sunlit color and gorgeous grace to create a stunning gift for any of life's special moments. 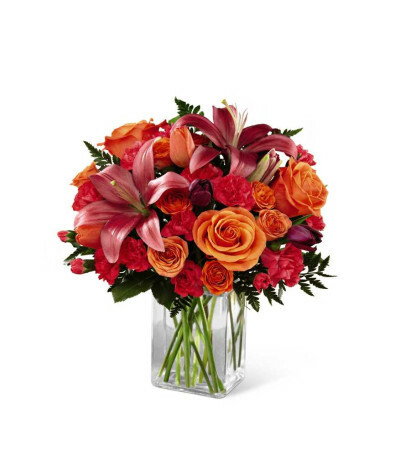 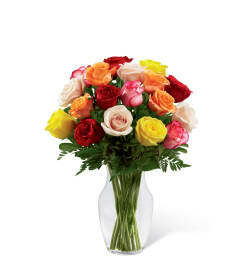 Brilliant orange roses, spray roses and tulips are simply stunning arranged amongst hot pink mini carnations, purple tulips, dark pink Asiatic lilies and lush greens. 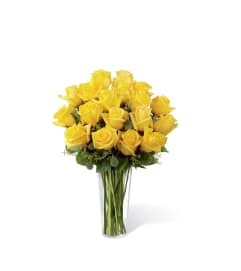 Presented in a designer rectangular clear glass vase, this fresh flower arrangement will make that perfect impression when sent in honor of a birthday, anniversary or as a way to express your thanks and gratitude.